Three plucky kids from Snipesville, Georgia, travel back to 1752 in this third installment of Laing’s (A Different Day, A Different Destiny, 2012, etc.) 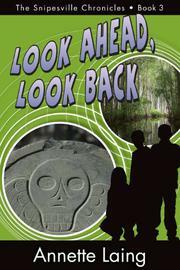 time-travel series for readers ages 10 and up. Siblings Hannah and Alex Dias and their friend Brandon Clark previously traveled back to World War II–era Britain and the Victorian period but were unable to control when and where they went. They received occasional guidance from kooky professor Kate Harrower, who tried to help them solve a mystery each time; this time, however, Harrower is nowhere to be seen. When the kids find a portrait from 1752 of what looks like Hannah’s face, they have the familiar feeling that they’ll be sent traveling yet again. Sure enough, they eventually find themselves back in the same British town of Balesworth where their previous adventures took place, but this time, it’s 1752. Hannah becomes a cook and maid in the home of one Mrs. Jenkins, Brandon becomes an apprentice to a stuffy clergyman named Mr. Osborn, and Alex spends time with local slaves. Together, the trio must figure out how the portrait came to be and how to survive the cruelty of the society around them. The stakes get even higher when they end up in 1752-era Snipesville and realize how dangerous life on a Southern plantation can be. Laing’s third volume retains all the charm and originality of the earlier two, as she uses her three-dimensional characters and engaging storytelling to teach young readers a bit of history. Some of the dialogue, though, especially Hannah’s, remains a little flat; there are too many lines, such as “You and Brandon are such total wusses,” that feel like an adult’s conception of petulant teen speech rather than the real thing. The larger reasons (and rules) behind time travel continue to be a mystery to both characters and readers, which is a bit frustrating after three books. It seems, however, that Laing is leaving these questions open to encourage more sequels—and hopefully she’ll deliver. An often entertaining addition to an enjoyable series, despite some awkward dialogue.